Hello lovlies and welcome back to another advertisers post! This month I have a great bunch of girls with me, so sit back, grab a cuppa and get ready to read some awesome blogs. First up is Ellen from elfeelgoodsvintage.uk with me again this month and I'm so thankful she keeps coming back to advertise with me, I honestly love her style of blogging and all her photos are just stunning. I always enjoy scrolling through her blog and reading some new tips and such, one post I have really enjoyed lately is "DIY: HOW TO MAKE PRETTY FLOWER POTS IN CONJUNCTION WITH WAYFAIR" I love anything DIY so this post was perfect and it's perfect for flower season. Next up I have Natasha with me this month, I can't thank her enough for coming back to advertise with me! I love a good binge on Natasha's blog and a post I loved recently was -Endo Education & Project Patchwork - You should definitely give it a read, I love it because I myself suffer from a chronic illness so I loved seeing there's a community been created for women like me. "My name is Natasha and I’m a 25 year old Housewife. My husband Martin and I met in school, but it wasn’t till years later we reconnected. I’ve spent the last year going back and forth trying to decide if I should start a blog or not. In the end it was reading so many inaccuracies in the media about Endometriosis that pushed me to do it. I feel as a young woman dealing with this issue it’s important for me to help put my own experiences out there. I am a big foodie, food is probably Martin and I’s favourite thing. I do all the cooking, but I enjoy a eating out just as much. I love to travel as often as I can and that usually involves shopping. I hope you enjoy reading my posts." Next up I have Sarah from thosestarsthatshine.co.uk with me again this month for advertising! Sarahs blog is just beautiful, form the layout to her pictures, it's such a lovely blog. One post that I really loved reading last month was her "HEMPZ BEAUTY | REVIEW" review, I have just started using HEMPZ hand cream from the body shop and this has opened my eyes to a new product! "Hey! I’m Sarah, a small but bold 22 year old from Glasgow! I’ve been told I’m so small that I have to say I’m “smol”. I originally started my blog way back in 2012 as a way of sharing my love of beauty and skin care with people as my mum was more than fed up of me always harping on about “this new lipstick” that I got." Next up I have Aaliyah from beautyobsesseduk.com with me this month! Welcome Aaliyah. 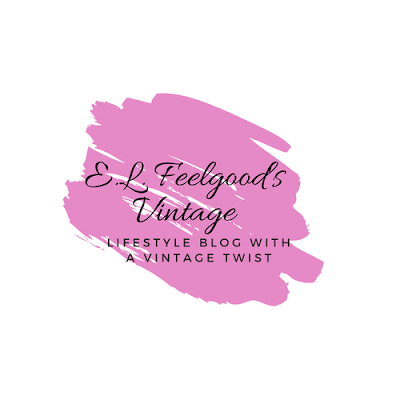 I have only just recently started reading her blog but her posts are great as are her pictures! A post I loved recently was - My Most Used Make Up - I loved this post because I too use a lot of that make up, each absolutely fantastic. Last but by no means least I have Lisa from lisasnotebook.com with me again this month for advertising and I am so honoured, honestly. Lisa is such an amazing and supportive woman, I honestly love knowing her. I always love reading her posts but my favourite recently has to be "MUD AND BLOOM KIDS NATURE, CRAFT & GARDENING MARCH BOX – REVIEW" I love a good subscription box and especially one for kids! I can't thank my advertisers enough, it means so much that these wonderful people want to advertise with me and trust me with sharing their blogs etc... it's such an honour. Their advertising has really helped with life lately and I'm very grateful. 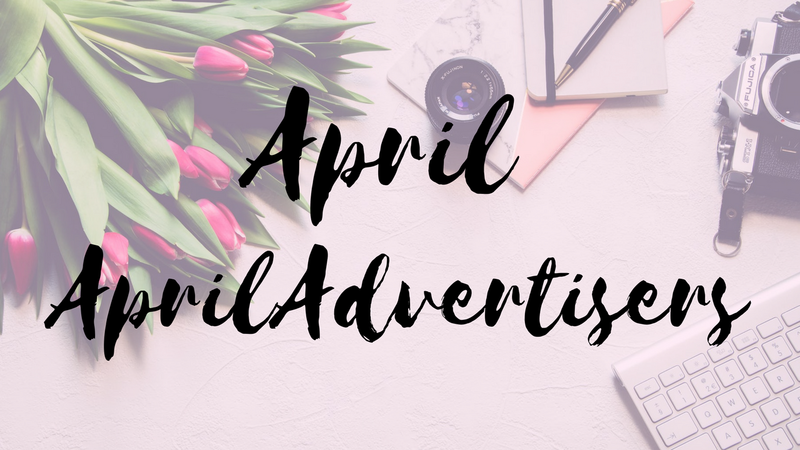 Thank you for sharing your advertisers, I've found some brilliant new blogs and bloggers to follow and some fresh content to enjoy, I hope you had a lovely Easter Weekend.